The great thing about online casinos today is that you can play on the vast majority of the games in the free play mode. You could never play on a game in a real land based casino in the free play mode, it just wouldn’t happen. This free play mode is also known as the demo mode, the fun mode or the practice mode. You don’t always need to register with a casino just to play in this mode either. The only games that may NOT be available in the free play mode are usually the Progressive Jackpot Games. Obviously you cannot win any real prizes when playing in the free play mode, but if you run out of cash and still want to play on your favourite games, this free play mode can be really handy. You can use the free play mode to practice new strategies that you may have wanted to try and this is particularly useful with games like roulette, blackjack, craps, baccarat and casino hold’em. It’s actually worth playing on any game in the free play mode prior to launching it in the real money mode. When a new game arrives in the casino, it’s best to spend a few minutes playing on it in the free play mode before risking any of your own hard-earned cash, only to find that you don’t even like the game. At least when you play in the free play mode to begin with, there is absolutely no chance of losing any of your own money. You will only be using ‘fun chips’ and these can be topped up at any time. Your fun balance will never run out. If you do notice that your fun balance is running low, you will find that if you keep on playing, it should automatically refresh to its original amount when it does finally reach zero. If it does end up reaching zero at some casinos, you may need to head to the fun cashier and then top them up yourself. If this isn’t working, you could try contacting the support and they should be happy to top up your fun balance for you. Alternatively, you may just need to log out of your account and then when you next sign back in your fun balance should have automatically refreshed. Playing in the fun play mode is nowhere near as fun or as exciting as playing in the real money mode, but it is definitely a useful mode. 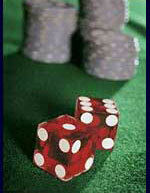 You can now play in the free play mode at each of our most highly recommended online casinos. When playing at any of our Microgaming or Playtech powered casinos, you generally need to sign into the casino either in the free play mode or in the real money mode, but at most NetEnt casinos, the free play mode or real play mode option will become available just by hovering over a game.